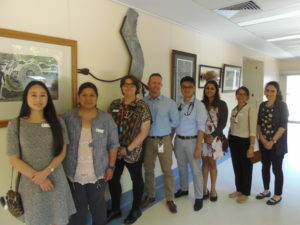 The Far West LHD and Broken Hill Hospital has welcomed a new group of Junior Medical Officers (JMO) to the workforce for 2018. The group consists of many new faces in the Health Service. 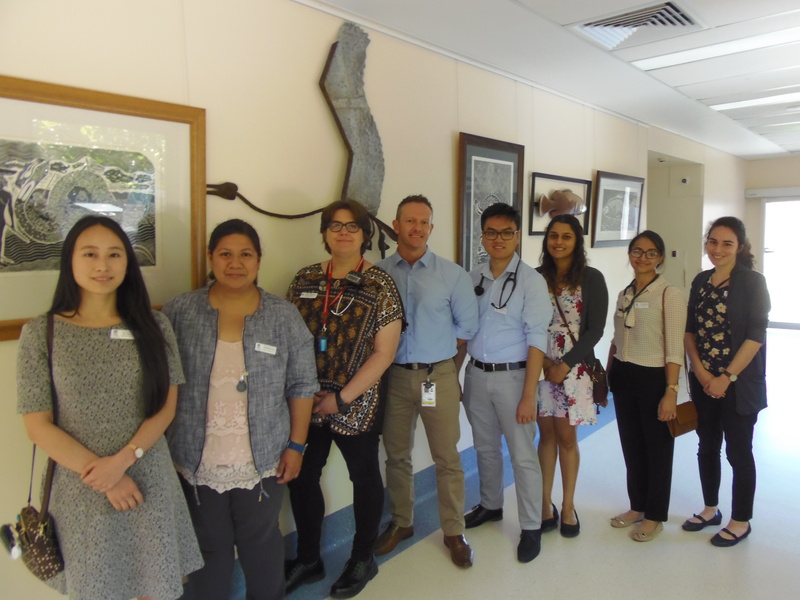 The District Director of Medical Services for Far West, Dr André Nel welcomed our new and returning medical officers to join the team at Broken Hill. “Far West LHD continues to provide medical training for Interns, Resident Medical Officers and Registrars” said Dr Nel. Broken Hill local boy Dr Michael Burrows has returned home to be employed directly by Broken Hill Health Service as an Intern. Dr Burrows applied for an internship at Broken Hill to focus on rural medicine with career aspirations to be a GP or Rural Generalist living and working here. “My wife Fiona is a Psychologist and has been working here for 15 years. Broken Hill is home to us, with family and friends here and we both love the environment, the culture of the town. We both see ourselves being here long term,” he said. Dr Umberto Villa, Dr Aliza Heywood and Dr Satilla Zafreen completed their internship last year and will be doing their Residency year in the hospital. Our new JMOs are Dr Anna Pick, Dr Long Truong, Dr Lora Zhang, Dr Youzra Saleem and Dr Emily Walker. JMOs rotate from Concord Repatriation Hospital in Sydney on a regular ten-week basis. Broken Hill is the rural placement for the Concord junior doctors. The first group of JMOs for Far West in 2018 (from left): Dr Lora Zhang, Dr Rose Damiao, Dr Emily Walker, Dr Michael Burrows, Dr Long Truong, Dr Pratima Herle, Dr Youzra Saleem and Dr Anna Pick. Absent: Dr Claire Ruan.